O&K Print Watch a program that lets users optimize printing, accurately measure printer usage, and create a company-wide printing chargeback plan that ensures that all users pay their fair share of the printing budget. O&K Print Watch PDF Presentation. Track and log each printed job on a print server, shared and network printer. 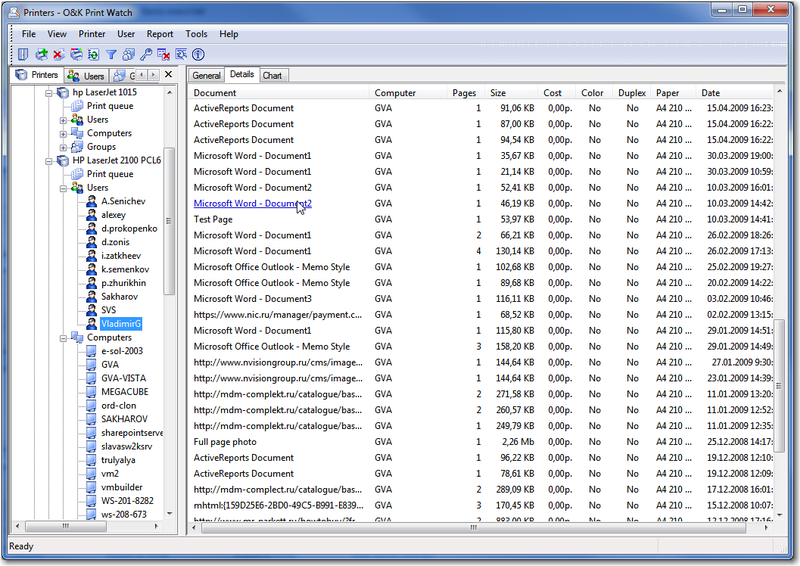 Capture and save a printed job as PDF or image file. Forbid or pause printing job based on cost, color, duplex, number of pages, keywords. 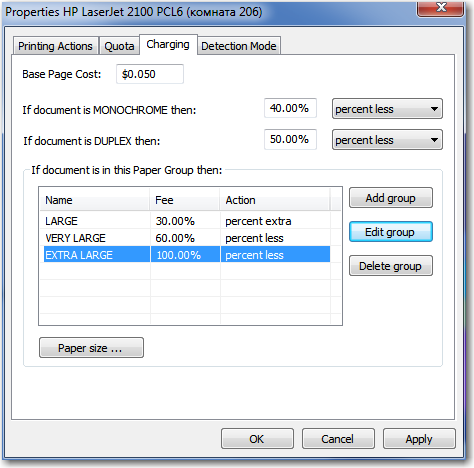 Set up printing quotas per printer, user, users groups or print-server. Control network printers and MFP supplies. Wide array printing statistics reports. 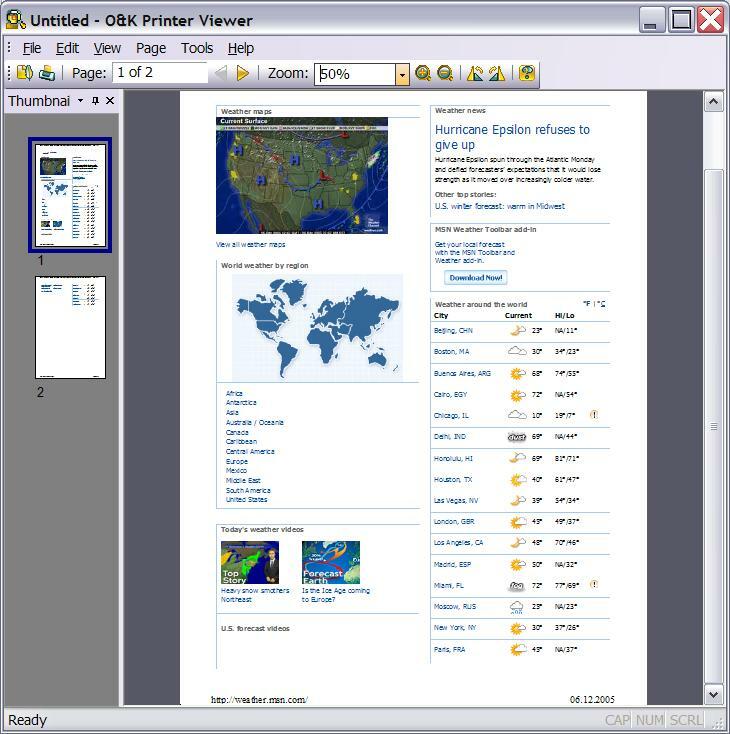 Use web-server to manage print server and printing history access. Unlimited number of printers and print clusters solutions support. How to setup cost of printing. You can forbid or pause printing documents from any user or users group. You can use quotas to limit printing for any object (printer, user or users group). You can control and audit all your print-servers from any PC of your local network. How to view printed documents content. You can limit document printing by pages, cost or keywords used in the name of a document. Each print job can be saved to the database and viewed later as an image. 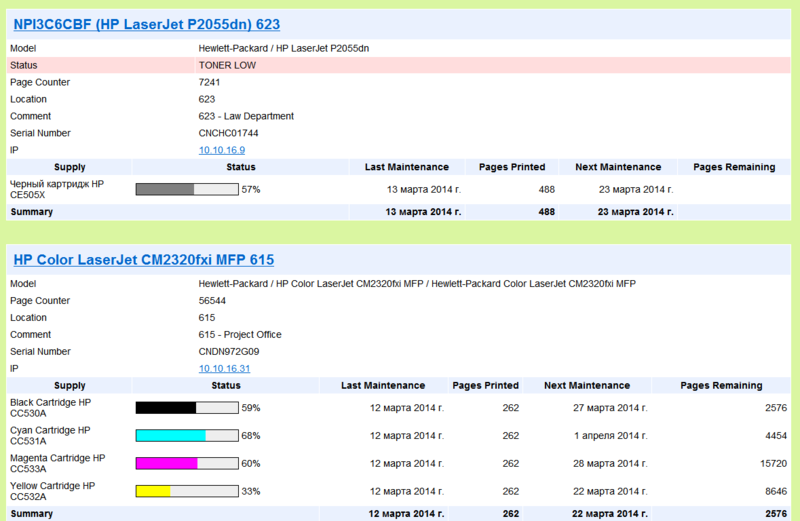 You can create a wide array of reports for network and local printers usage and print server stats. You can use web-interface to view printers stats from browser. 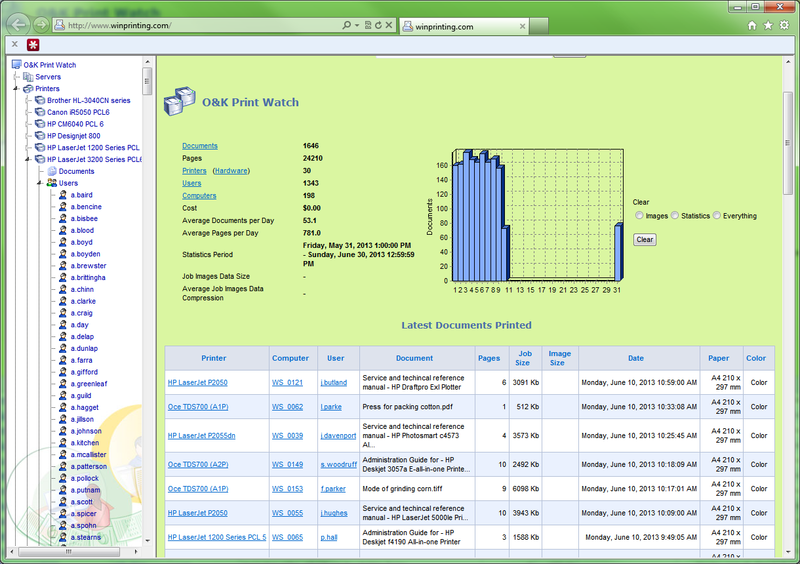 Online sample of O&K Print Watch Web-Server. How to track of supplies in the printer. Network printers and MFP supplies control. Ink/toner level, printer's serial numbers. SNMP monitoring. 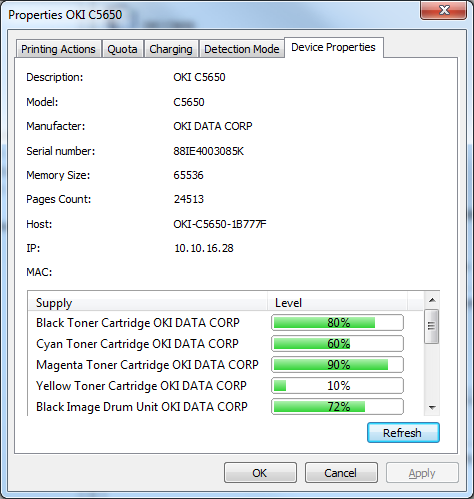 Reports and e-mail notifications for low level printers toners, inks and other supplies. 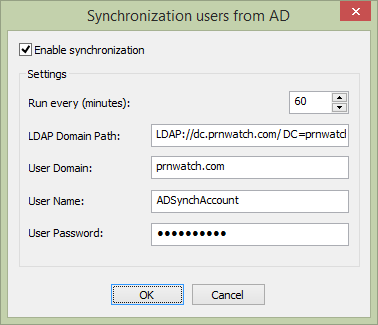 All users and user groups in the domain can be automatically synchronized with the O&K Print Watch database. Whether you need to create an equitable method of charging each department for their printing expenses, require better strategic tools to make decisions about buying and deploying printers, or simply need an easy tool to manage day-to-day printing priorities, O&K Printer Watch is the best solution to printer management and monitoring.